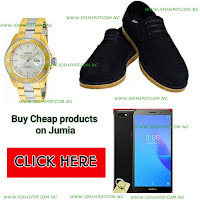 Upload your music here on joshspot.com.ng for free. HomeMusicUpload your music here on joshspot.com.ng for free. 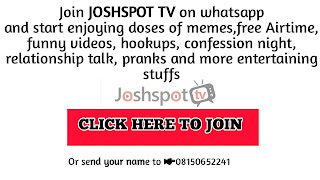 Joshspot TV in affiliate with this blog (joshspot.com.ng) has decided to make this platform where you can upload your music at a token of N500. I think that is affordable and the cheapest rate ever. Trust me, it's effective. help upcoming musicians show their talent to the whole world. Your music will feature on our Facebook page and whatsapp TV with larger viewers and some other website we partner with. 3) After doing this Wait for at least 6 hours and your music will be LIVE. A link to your music will be sent to you and you are free to share to all your fans. However,if you wish your music to get much more downloads and hyping,you can upgrade to our premium plan. It's just #2000 only for our premium plan. To do this repeat the above step on how to get started or Click here to chat us up on WHATSAPP . Thanks for stopping by orewon. The public of the any country educational system began to change payforessay.net reviewultimately crumble after the 1980s. So, called improvements have theatrically changed all educational system. Both from an economic and educational view.